Are The Expert Witnesses Necessary in RI Injury Litigation? An expert witness can make or break success for either Plaintiff or Defendant in Rhode Island personal injury or wrongful death litigation in Providence Superior Court. The fees charged for expert witnesses depend largely upon their field of expertise and the amount of time the trial testimony will take from the expert witness’s own professional schedule. The importance of correctly selecting the Expert Witness for a case cannot be overstated. Whether your expert witness uses a visual approach to prepare for trial or relies on more traditional methods, his or her experience and expertise are an advantage in the lawsuit’s planning phase. Expert witnesses are especially essential in Rhode Island personal injury, slip and fall, premises liability, truck accidents, wrongful death and RI motorcycle crash cases. When an issue is too complex for the ordinary juror to understand without the assistance of an expert, most state laws requires that an expert witness be called to explain the complexities and provide expert opinions. If the plaintiff doesn’t call an expert witness to testify regarding such issues, then the court will generally not permit the plaintiff from placing such issues before the jury. If the issue is essential to winning the case and plaintiff doesn’t call an expert, then the case will be lost. Expert testimony is exceedingly important in Rhode Island medical malpractice litigation as well as product liability claims in Rhode Island. Success in litigation cases often depends not only on the expert witness having extensive expertise in the matter under examination, analysis and dispute, but also upon the reputation of the expert witness as acquired from testifying at other major trials. It becomes not only important to state the facts, but also how well you state them. reviewing the attorney’s chronology if available. Next, the expert requests relevant data be provided for research permitting the expert to perform an analysis. 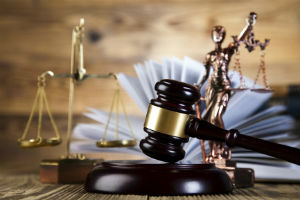 Counsel may not receive all data needed for pretrial discovery in a timely manner and new facts arising may change the focus of the case, which would change the expert witness’s presentation stages of the forthcoming trial. The expert witness should prepare a first draft of analysis as soon as he or she understands the facts, and review the draft with counsel. Sometimes legal damages theories and the actual facts of the case don’t mesh and the expert must anticipate any attempt to exploit that. It’s much better for the trial team to address these issues early. In many situations, the expert witness can also use visual analysis to assist the RI car accident lawyers in discovery, preparation for settlement and as the basis for outlining the case in opening arguments. Pre-trial preparation and discovery represent thousands of documents and pages of data. The expert witness on both sides must sift through data in order to determine relevance to his expert testimony. If communication with the trial team is lacking, expert witnesses can fall into a chasm of searching for data that was never produced or in any case is immaterial. You must ensure that the Rhode Island personal injury attorney addresses issues that anticipate the opposing expert’s testimony, which negates the opposing expert from sidestepping technical errors. Presenting airtight testimony goes a long way in countering an opposing expert relying on the judge’s lack of knowledge. An expert witness must never underestimate a fast thinking opposing expert who might have no compunction about false testimony. In pretrial, it’s the expert witness’s job to assist the attorney not only with his own direct examination, but also with his cross-examination of the opposing expert. It is best to educate the Providence slip and fall attorney as much as possible before the trial date. The savvy expert witness will ensure counsel will not direct questions to him that belong to other witnesses. It is also imperative that expert witnesses remember they are there to testify on technical matters, not facts. Success in providing expert witness litigation advisory services depends on the practitioner’s experience and ability to apply it to the unique facts and the exact circumstances of the case.